A quick video post for the weekend. This one shows some intertesting shunting operations on the preserved Dampfbahn Furkabergstrecke (DFB) near to their junction with the Matterhorn Gotthardbahn at Realp. According to the commentary the MGB have no turntable on their system, so when this white van needed turning they had to use the one belonging to the DFB. Judging by the shenanigans involved in turning the van around, I’m guessing there isn’t a passing loop either. It’d make a great micro: it’s got a small track plan with only one set of points but a lot of character, and you can have a lot happening at once, and if you make the viewpoint from the other side of the shed the will cover the fiddle yard nicely. Come to think of it, it’s not unlike my plan for Dachsburg. Just a thought. I’ve been working on the railcar, and it’s a nice day today so I may be able to get a photo of it this afternoon if the boys give me five minutes between games. Another week just flitted by and the weekend was busier than before, so I think that ‘plan A’ is unlikely to happen. I’ll keep working on locomotives and stock in this scale and I’m now thinking about what I’d like to build. I like the idea of having a loco shed: It seems appropriate as I’m building locomotives, and it could be pretty compact. I may even go for the same model as before, just perhaps a bit longer as I don’t have to follow the rules as closely if I’m not entering the competition. 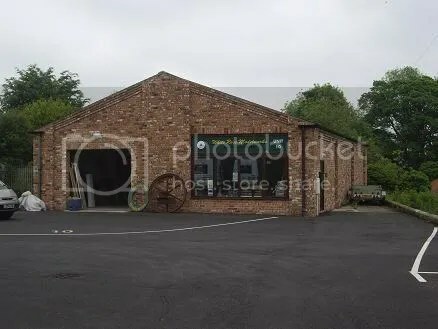 Perhaps some kind of simple one or two-road shed could have a small station alongside it, but the trouble is that wouldn’t give a lot of traffic. A small container or freight terminal would help make operation interesting- especially as container terminals can’t use overhead electrification. An electric loco or railcar could haul a wagon in, and a diesel would take over and move it to a siding where it would be (un)loaded. The wagon would then be attached to the next train going back. Space would still be at a premium though. I’d like to get on with Sägewerk Pfeifle but I still can’t make any model on the shelves just yet because of the two small Edmund Hillary impersonators we’ve got in the flat at the moment, so it’s either a matter of making two modules -which would mean I have to make a wood base or find a better way to make cardboard baseboard joins- or build very small again, and loathe as I am to admit it, modern-era micros, even narrow gauge ones, don’t allow a lot of operation in a large scale. Time to build stock and scribble plans. 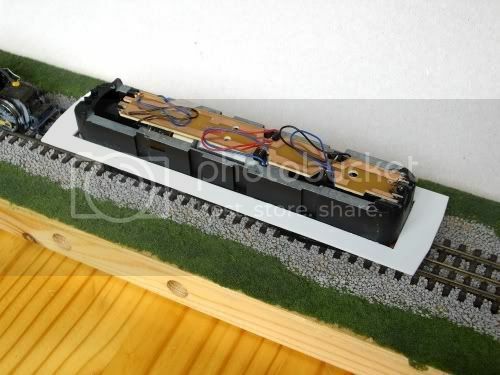 Just to prove that the 5,5mm project is more than my online rambling and a few track plans, here is the start of the railcar, put together last weekend. Progress hasn’t been helped by me trying to make two of everything. I’m working on the theory that if I do this, I can wait until another similar chassis comes up on Ebay or similar, and then make a twin for this one, which of course will look better as I’ll make all my mistakes on the first one. Alternatively it may just enable me to make two different sets of mistakes. Hopefully there will be more progress over the weekend. In the meantine I’m using the old class 33 body that came with the chassis as a dust cover, which gives the slightly surreal impression of a locomotive wearint a tutu. I’m assuming this would represent part of a bigger maintenance and stabling area for the Körschtalbahn. The location is assumed to be Dachsburg, which is where the overhead wires would end, and it is common practice locally for stabling and maintenance sheds to be at the country end of branch lines. It would probably also offer more space than the congested and steep hills of Wildberg, where the KÖB would meet with the standard gauge. (If that sounds thoroughly incomprehensible, theres a map of the KÖB here). I thought the car park over the fiddle yard could be a cunning way of keeping the controller and electrical gubbins on the model but hidden away from view and not taking up too much space. I wondered about a cassette system underneath to avoid handling the locos too much. To add variety I’d probably say the siding in front of the shed is a fuel point for diesels. 2008: Year of the Krokodil? Now we are back and work has hit with a vengance, which is the reason or the lack of posts. About the only thing I’ve succeded in doing is wiring up these two aged Hornby chassis together. I wanted to see how they run with a view to making either a pair of permanantly coupled heavy shunters, or maybe even a Krokodil. One of my discoveries around Bedale station was Unit 10: White Rose Models. 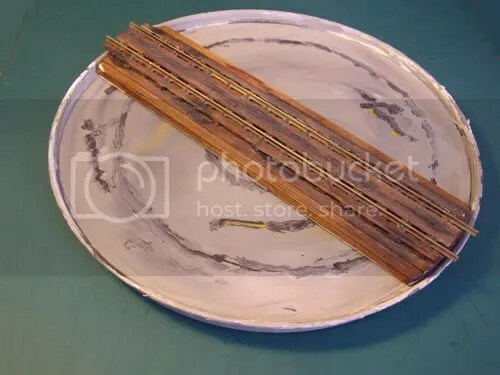 Their main output is baseboards -mostly spirals- which are advertised in the model press, but I found that they also have a small shop selling all the bits and pieces that German shops don’t, and a second hand section. This is bad news for the modelmaking budget. I’d been eyeing up a few prospective purchases there, but when we got back from the family holiday in Wales there was a big box of used American outline HO models, and they were calling my name. I tried to resist, but when I found an SD40 that ran like a tortiose on tranquilisers, and a motorised/dummy combination that was going for ten pounds, I succumbed and paid up before the sensible voice had time to argue. I’ll tell you about the plans for these when I get them home. It’ll have to wait until my parents come in a few months: postage to Germany has skyrocketed to a level that makes me wonder if parcels now travel business class, and there is no room for more models in the suitcase -especially after I smuggle in the turntable. Preparation for the next project (provisionally known as ‘Koerschtalbahn: Dachsburg’) is well underway, and has been since I was half way through ‘Westerooge’: I bought as few bits and pieces in the UK, in the knowledge that I’d be able to take them back with me or post them: the problem in Germany is that while you can get a hold of any kind of new electrical gubbins from roads to fully automated fairgrounds, things like simple motorised chassis are like hens teeth, so most purchases are either via Ebay or through helpful people on the forums I’m part of, and I’ve been looking at a couple of my new purchases. First off is this B-B unit from Jordan F. who posted it publicly on the MTI forum under his screen name of ‘F-unit mad’. Jordan kindly kept hold of it until I had a pay day and could come to the UK and receive it instead of selling to the first person with money. It’s the second chassis I’ve bought off Jordan, the first being the one on the picture of the proposed Koerschtalbahn motor luggage car. 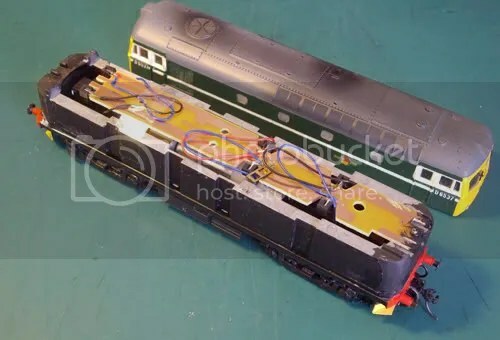 Having looked at the bogie profiles I’ll probably use this for the baggage car and the other chassis (which is from a HO scale F-unit) under a heavier-looking locomotive. Meanwhile, I was asking about on the Minimum Gauge Forum and was offered this turntable at a bargain price by Gerry Bullock. I’d had a couple of ideas how to make a turntable and make it operate, but this seemed far more practical, and I jumped at the chance. I don’t know if I’ll use the turntable “as is”: On one hand I’d like a closed deck for a number of reasons, but on the other, it would be a useful shortcut to use it like this, and it is very well made. I’ll think about it before I go home.